Have you been accused of cow-ing around? Of sneaking in some moo's at inappropriate times? Of looking really good in a spot print? Don't fret, it's nothing to worry about. And it's definitely not a problem. You've just got moo's on the mind! And that means the only cure for you is to get a piece of the cow life. We don't really advocate for folks to take up actual residence in a cow pen or to out to the cow pasture, but there is just a little something you can do to let the cow lifestyle influence your own living patterns. 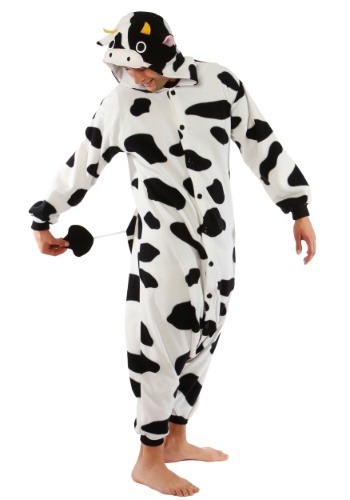 And that would be by getting this adult Cow Kigurumi! Kigurumi are all the rage in Japan, where these cool pajamas originate from. The creators made the delightful costume suits so comfy, that everyone wanted to wear them as sleepwear. And then folks wanted to wear them all day long, which is just what they did! Regular, everyday people can now be found worldwide wearing them out and about, or even underneath their regular everyday clothes to mix things up. You can grab this Kigurumi set to use as a fun costume set for an easy way to make dress up day at work or school extra fun... and extra cozy. 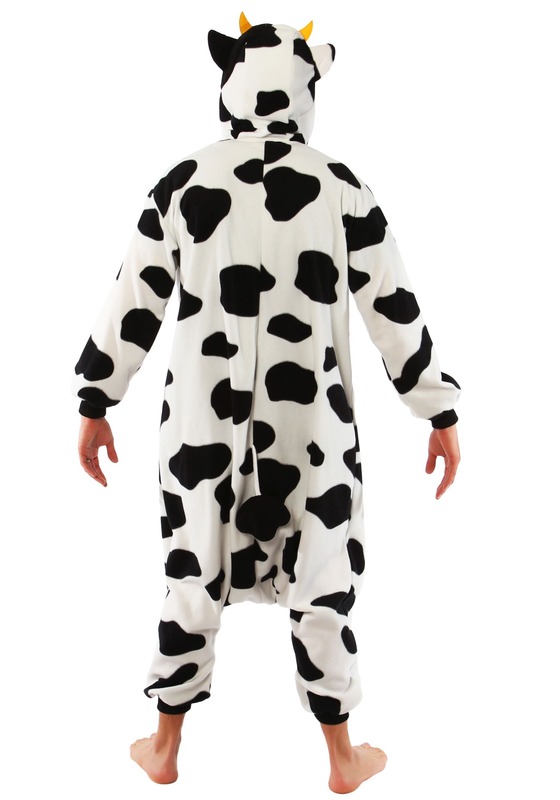 With signature spots, tail, and cow facial features, you'll be ready for all the moo-ing you can handle. You have been practicing your moo's, right?